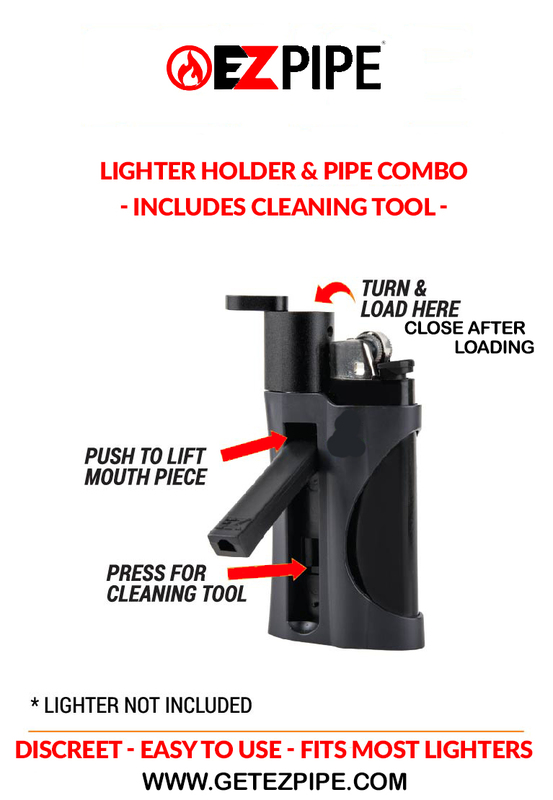 EZ PIPE is the world’s most convenient and discrete lighter pipe combo. Simply swivel open the top metal lid then insert your content and swivel close the lid, slide your Bic, Clipper or generic lighter into the sleeve and pop up the mouthpiece, light and enjoy! EZ PIPE is virtually smokeless, windproof and conserves all content without any waste. The metal top with all stainless steel bottom is held onto the plastic base with a magnet which is easy to remove and clean, also included in the bottom is an insert poker … Be EZ with EZ PIPE! Fantastic! 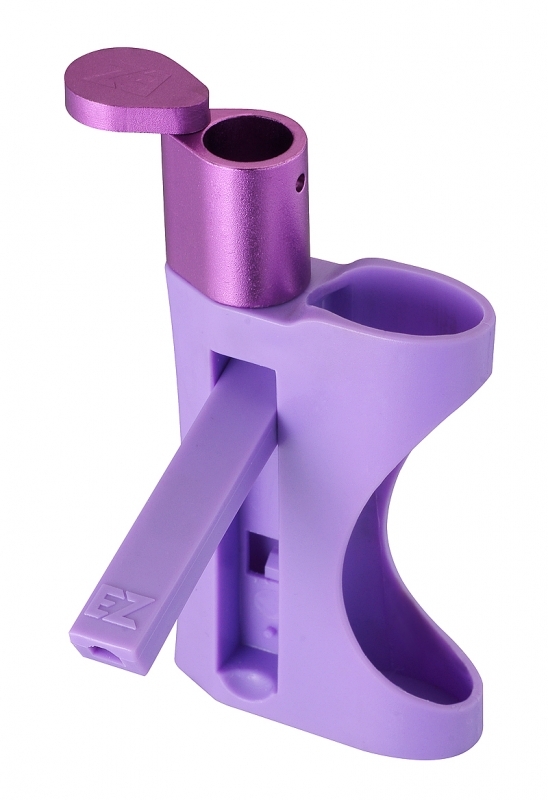 The EZ Pipe is one of those things that I never knew I needed until I saw it; and when I did, I know I HAD to have it. It’s ingenious, simple, and works great. The ONLY con I have found is that the bowl can get very hot to the touch. So just be careful handling it after taking a few pulls off of it.